Visual identity and logo for production company PEEKABOO. Created this extensive icon set for the danish TV Channel “TV 2 Lorry” in 2018. There are around 500 and they are publiched under the CC CY-SA 4.0 Creative Commons licence. They can all be downloaded and used in any project as long as you mention TV 2 Lorry. Redesign of TV 2 Lorry, a local TV Channel in Copenhagen metropolitan area with around 2.4 million inhabitants. You can read more about the case here at behance. 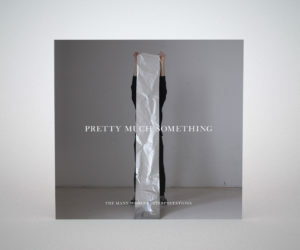 10″ vinyl cover. 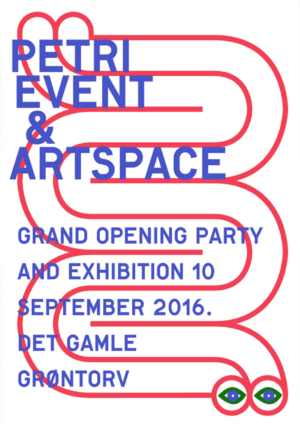 The artwork is part of an earlier project i made for Copenhagen Architecture Festival in collaboration with Lærke Vindahl. The artwork is a reinterpretation of the Eiffel Tower. Photography by Sujato Louisa Wassileffsky. I was commissioned as an illustrator to create a bunch of illustrations for a publication about online radicalization by DFI (Danish Film Institute). They liked my simplistic and sometimes witty approach and I was somewhat free to do what wanted. 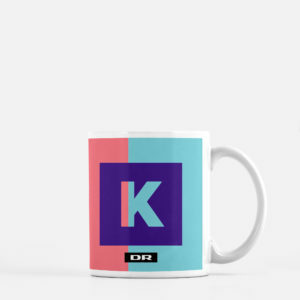 Typography centric design package for the TV program “Historie Quizzen”, Danmarks Radio (Danish Broadcasting Coorporation). The program is a history quiz / gameshow where the participants need to guess specific facts from various periods in history. Check out and appreciate the case on behance here. Designed the overall visual identity for DR‘s coverage of the danish local election 2017. The idea was pretty basic. Take all the colors of the different political parties and squeeze them together. It was a big task to undertake because it involved so many platforms, people and different parts of the organisation. I created the overall design guide which was implemented all across and served as a visual tool for everybody involved with the project. It was executed “pretty much” as intended and was for me a study in how design guides can affect the workflow in big media corporations. The basic concept is the eye of the beholder and revolves around different ways of looking. Redesigned the youSee logo while working for Kontrapunkt. I worked as a freelancer in a small team cocking up a couple of pitches for the new TDC visual identity. They had an old web 2.0 (funny) logo approach and wanted to be more serious. The initial logo was created using the Helvetica knockoff typeface Swiss 721 and we changed that to Helvetica Neue and basically just wrote it on one line with some kerning. Designed and animated visuals for the EliteForsk conference held at Glyptoteket in Copenhagen 2016. The identity is designed by Kontrapunkt and they asked me to come up with a solution that could be used as background and idle visuals for the conference. The basic principles are parallax, tunnel-zoom and mechanical movement. All three concepts taken from trains and the experience of riding them. I created the overall illustrationstyle and guide for the most viewed danish news program TV-Avisen as a part of a redesign. 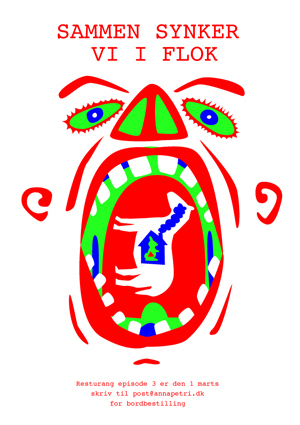 The illustration style is simple and easy to work with but with certain characteristics. 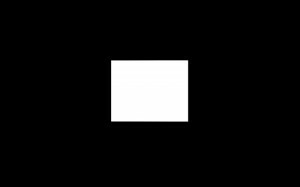 Many of the shapes are geometric but the style allows for a certain level of creative freedom. In the many tests and sketches i made i explored more rigorous geometric directions but it would be harder to implement in a large organisation with various graphic designers, illustrators and producers on different creative levels. 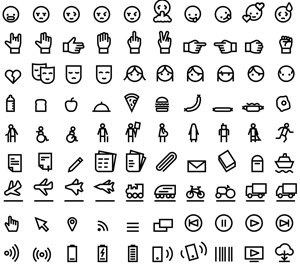 The illustrated objects could also easily lose some of their characteristics in an oversimplified style. You can check out the TVA design case here. 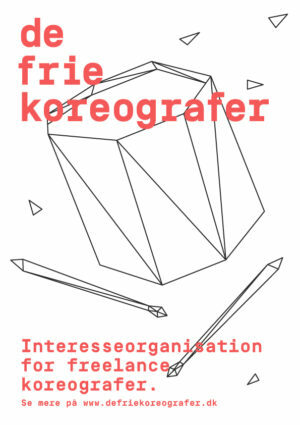 I created this micro identity for the danish organisation of free choreographers. The identity is build around two things. The triangle as a fundamental visual building block and flocking, one of natures own form of selforganising choreography. The illustrations are solely constructed with triangles which gives a distinct and easily recognisable look. Flocking is the movement of large groups of animals such as birds or fish in a big flock. It can be emulated with a rather simple algorithm which has been used to generate the moving triangles on their website and in visuals, animation, print etc. Appreciate the project here, thanks! The film is shown on DR (Danish Broadcast Coorporation) and is featured at the danish children film festival Buster. Designed various printed material for the TV channel DRK when working for DR‘s inhouse design department. Broadcast design for the danish tv series “5- Skarpe”. The design is build on the typeface Akkurat by Lineto. The fundamental idea behind the design, is to only use numbers and tekst as graphical elements and remove all unnecessary visual noise. This principle is applied to the studio design where the numbers in the background indicates the current chapter. I made this trailer together with producer and director Lærke Vindahl. Performers: Diana Tørsløv Møller, Eriko Makimura, Nana Elisabeth Paja Senderovitz, Lars Gregersen, Anton Vindahl Andersen, Kirstine Kyhl Andersen, Esther Wrobel, Kirsten Jensen Holm, Tobias Elling, Lærke Vindahl, Xavier Estrela, Radioens Undergangsorkester. Big thanks to: Kameraudlejningen and Made By Us. 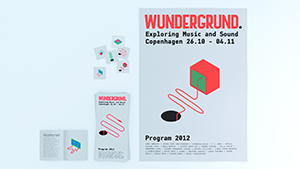 I designed the visual identity in 2011 for Wundegrund, the experimental music festival in Copenhagen. 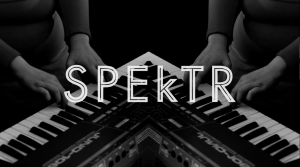 I made a logotype, webdesign, print, illustration etc. The concept and idea behind the identity is a hole in the ground where exiting stuff pops out off. If you like it, please appreciate on behance. 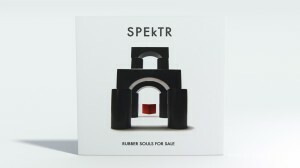 Made this cover for SPEkTR’s single “Rubber Souls For Sale” in collaboration with their drummer Karsten Garner. We simply build the structure with his kid’s bricks and set the light so it looks like the red brick is hovering. 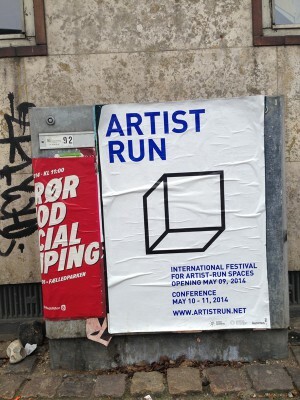 Designed the identity, website, poster and all sorts of printed material for Artist Run, a Copenhagen based artist-run art festival. Please appreciate on behance here. This identity was my contribution to a logo design contest for the Danish Crowdsourcing Association. It came in on a 2. place and although I would have loved to see it implemented across various medias, i’m satisfied with my work and had great fun creating it. Made this poster for the resturang project. I founded Super Geometri in 2014. 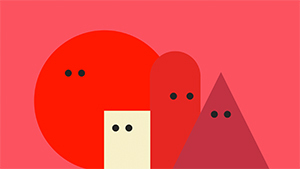 Its a Copenhagen based multidisciplinary design company. Playing with geometry, color, type, animation and code, the ambition is to create great design experiences with or without great technology. 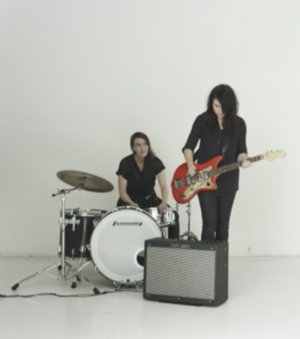 Check out Tool Box Film here. Made this micro identity in 2010 for Lydwerk, a danish alternative radio community project. It was before the podcast-tsunami hit the mainstream. Then it was still a playground with a lot of experimentation and without corporate attention. It was run by some very nice, young and talented radio people who still active in the podcasts / alternative radio field today. In 2010 I performed with musician Jæver Jæv in the Danish Royal Library. 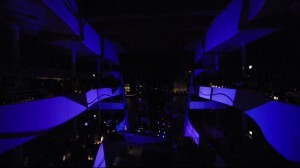 It was a massive project with 12 channel soundscapes and algorithmic visuals on 18 projectors. I programmed all the visuals in processing and hooked it up to a bunch of midi devices i used to control the visuals with. 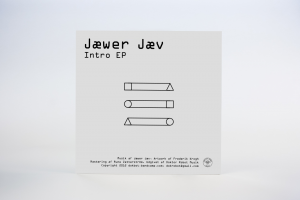 Designed this fantastic EP by Jæwer Jæv. The sleeve is a poster folded together. It consits of six machines that resembles each song on the album. It took some thinking and collaboration to find out how the tracks looks like. My showreel from 2010. Watch it here. 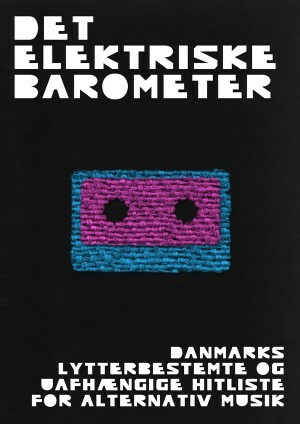 In 2010 i designed the visual identity for the danish indie radioshow “Det Elektriske Barometer” in english, “The Electric Barometric”. I made a typeface, posters, viauls and various print and online material. in 2010 i made this intro for a program about Lady Gaga on Danish Broadcasting Network (DR). 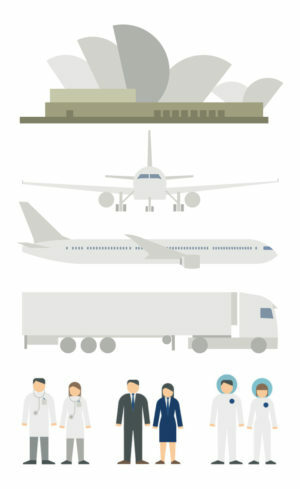 It’s part of a designconcept which includes fillers, infographics, outro etc. Created this 90’s inspired ident for Frenzy magazine. Did some generative visuals for Swatch as part of an event in their Milano store. The program takes in random words and displays them in random compositions on colored blocks. REMOVE CONTENT, I WANT TO DRAW!